Information for contractors and homeowners is provided below. Please view our best practices for contractors and homeowners, to ensure work is completed up to necessary standards for the program. Reviewing the Construction Specifications can be helpful for homeowners and contractors working in our program. Information regarding the escrow procedure is outlined below. Learning about how the loan funds are utilized and dispersed is good for both contractors working with the program and for homeowners learning about the process. We do not specifically partner with contractors, but we do keep a database of contractors that provide excellent workmanship for a variety of projects. If you would like to be added to our database, please fill out the Contractor Qualification Form below. 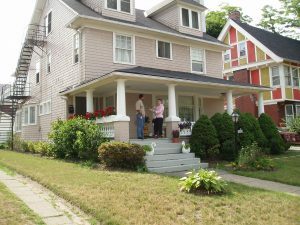 If you are a homeowner who wishes to comment on a contractor, please fill out the Contractor Feedback form. If you wish to be added to our database, please furnish the information requested below. This information will be kept in our files and will be confidential. 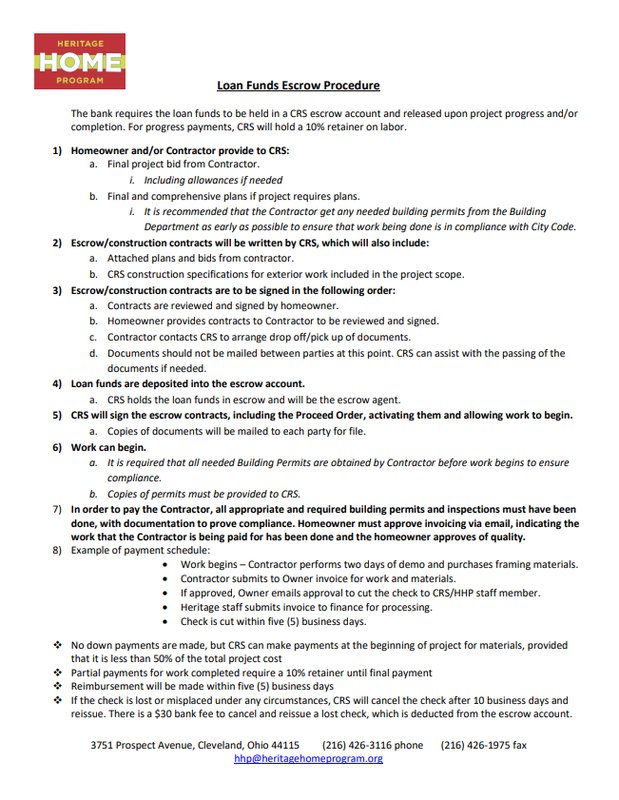 Our office will use this information only to verify the qualifications of the contractor, if requested by the homeowner, for a CRS project. How many years as a contractor? How many tradesmen do you employ? Do you work with subcontractors? If so, please list. What is your charge for site visits? What size jobs are you willing to complete? Do you have a minimum dollar amount?